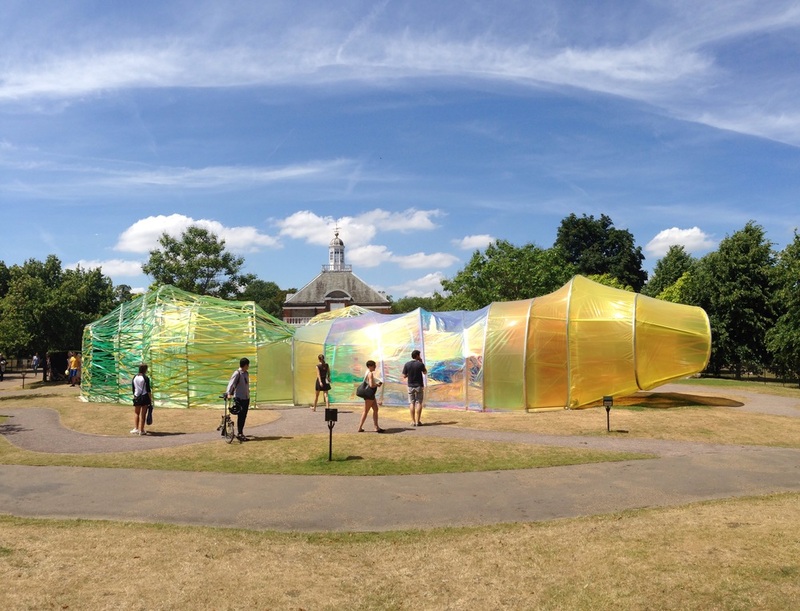 This year's serpentine pavilion is by the Spanish office Selgas Cano. It's colourful and fun! 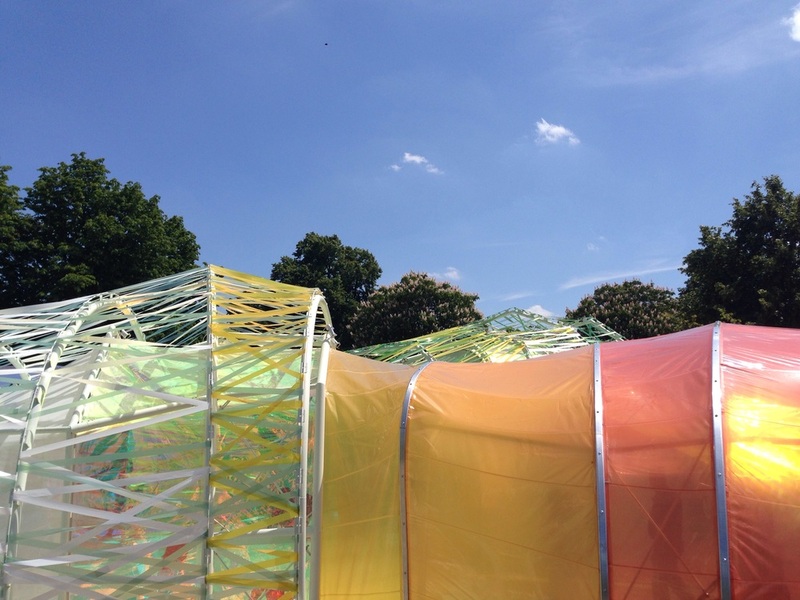 Seemingly haphazard ETFE fabric blends and transitions a careful selection of colours. Spatial organisation is central and straight forward (boring) other than the multi-layered entry ways. Overall form is unique and doesn't immideatly remind us of anything - it is almost "weird".